Performance Art + swimming pool + BBQ + cocktail + beer. “Poncili Creacion” is a group that generates performatic and audiovisual experiences that sprout from their interactive sculptures. 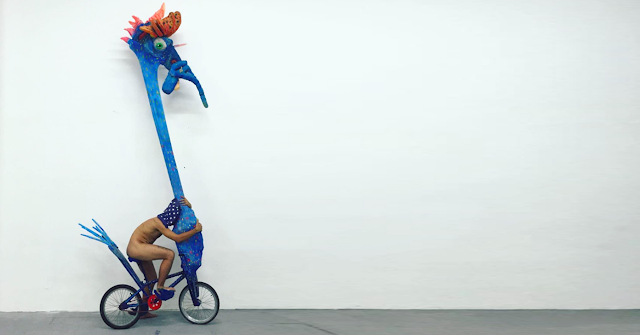 Their sculptures and installations are always accompanied by a performatic act that incorporates experimental dance, manipulation of objects and interaction with the public. Very active performance art people in Berlin: APA-B, members and +guests! Everybody is welcome to bring any performance instructions and anyone can pick up to perform! This time, swimming pool edition! Enjoy the summer, enjoy performance art !